Chromed steel metal hanger with anti-slip coating. "Grippy" black vinyl coated arms help keep garments in place. 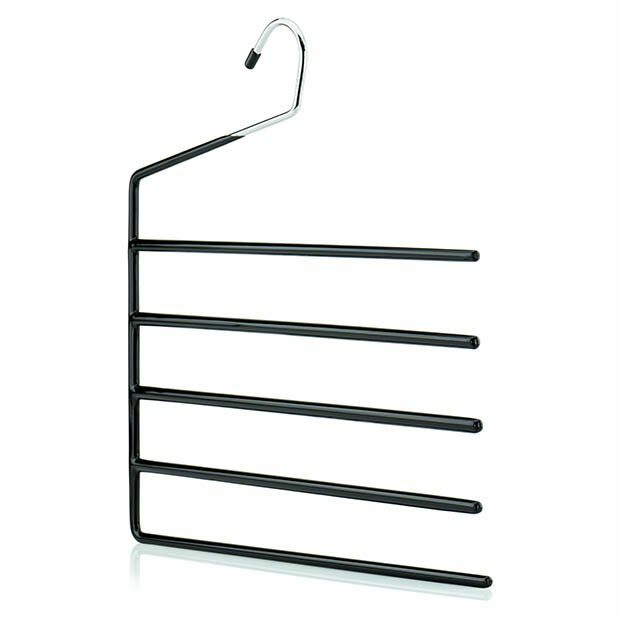 The perfect space-saving hanger for trousers, ties and scarves etc. Plenty of room for several pairs of trousers. Smooth hook end. Top quality and durable. For a smart, tidy and organised wardrobe or retail display! Size: Width x Height 34cm x 35cm (13.5" x 14.5") approx. Size: 34cm x 35cm (13.5in x 14.5in) approx.